In, Congratulations to NWR Dragonlord on getting another title on the DSRL!! Division 2 title is still up for grabs Between The Crab84 & GT R ASAP who will get it?? Out for the last round unfortunately, heading to Montreal early tomorrow for the Canadian GP! 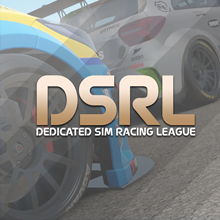 I’m taking a break from racing with the DSRL for a few months as I have far to many commitments at the minute with my job which unfortunately means my racing has to come second for a while. I will be back though. Good luck with future championships and see you all on track again in the not to distant future.